These Websites are maintained and operated by Charleston Angel Partners LLC (“CHAP”), which provides administrative and other services to various CHAP entities. In accordance with industry custom, these Websites occasionally use terminology that may be interpreted to suggest that our group and our portfolio companies are actually a single entity. However, there is no such single entity and all of the entities that comprise our portfolio have their own separate legal existence. Except for certain Materials provided on the a password protected Website (see below), ALL MATERIALS ARE PROVIDED "AS IS," MAY NOT BE RELIED UPON FOR ANY PURPOSE, AND ARE NOT SUBJECT TO EXPRESS OR IMPLIED WARRANTIES OF ANY KIND. In particular, except to the extent that Materials provided through the password protected Website are subject to different rules, we make no representations or warranties with regard to the Materials' accuracy, completeness, non-infringement, or fitness for a particular purpose. In connection with our investment activities, we often become subject to a variety of confidentiality obligations to members, funds, investors, portfolio companies, and other third parties. Any statements we make may be affected by those confidentiality obligations, with the result that we may be prohibited from making full disclosures. Without limitation on the effect of other warnings and disclaimers set forth in these Terms, you should interpret any statements we make (on these Websites or otherwise) in that context. Please ensure that your own computer security is comprehensive and up to date. We accept no responsibility for viruses, malware or other malicious or damaging software contained in the Materials or otherwise. Certain Materials may be made available through a password protected area on a connected Website, www.chapmembers.com. Each password is intended to be confidential and used only by the individual or entity to whom it is issued. Do not disclose your password to any unauthorized person. If you access Materials through a password protected area, please note that the written agreements between you and the applicable Charleston Angel Partners entities, as well as any provisions set forth in those Materials, govern the parties' respective rights and obligations with regard to those Materials. In particular, Materials provided through a password protected area generally are confidential and subject to limitations on disclosure and use, and Charleston Angel Partners individuals and entities generally have limited liability with respect to the accuracy and completeness of such Materials. Except to the extent expressly set forth in Materials provided through a password protected area on these Websites, or as otherwise specified by a Charleston Angel Partners entity in writing, nothing on these Websites is intended to constitute (i) an offer, or solicitation of an offer, to purchase or sell any security, other asset or service, (ii) investment advice or an offer to provide such advice, or (iii) a basis for making any investment decision. Except as expressly stated by a Charleston Angel Partners entity in writing, neither these Websites nor any of the Materials available therein make any effort to present a comprehensive or balanced description of Charleston Angel Partners or its investment activities. We reserve all rights with respect to the design and content of these Websites. In particular, you must not misappropriate the design or content of these Websites and you must not alter or deface such design or content in any way. Nothing on these Websites grants any license with respect to such design or content, except that you may download and use Materials solely for your own personal information. All text, photos, graphics, logos, content and other Materials on these Websites are protected by United States and foreign copyright, trademark, and other applicable laws. In particular, all trademarks, trade names, and logos displayed on these Websites are proprietary to Charleston Angel Partners, its affiliates or their respective owners, and these Websites grant no license to them. 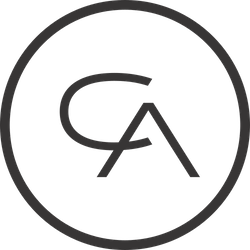 Charleston Angel Partners and the “CA” logo are among our registered trademarks in the United States. Due to the large number of business plan ideas and related materials that we review, and the similarity of many such plans and materials, we cannot accept responsibility for protecting against misuse or disclosure any confidential or proprietary information or other materials in the absence of our express written agreement to do so. Any plans, information and other materials you submit in connection with these Websites may be used or disclosed by us for any purpose and in any manner, as we determine in our sole discretion. Please consider this carefully before sending us any information or other materials that you deem confidential or proprietary. We reserve the right to track visitors to, and usage of, these Websites through "cookies" and similar techniques and to use any resulting information as we determine in our sole discretion. Except as specifically agreed by a Charleston Angel Partners entity in writing, NO CHARLESTON ANGEL PARTNERS INDIVIDUAL OR ENTITY SHALL HAVE ANY LIABILITY BASED UPON YOUR USE OF, OR RELIANCE UPON, THESE WEBSITES OR THE MATERIALS. Some jurisdictions limit our ability to disclaim liability. With regard to those jurisdictions, our liability shall be limited to the greatest extent permitted by applicable law. These Websites are operated and controlled by Charleston Angel Partners LLC in the United States of America. If it is illegal or prohibited in your country of origin to access or use these Websites, then you should not do so. Those who choose to access these Websites outside the United States of America access it on their own initiative and are responsible for compliance with all local laws and regulations. These Terms, and any disputes relating to these Terms or your use of these Websites or the Materials, shall be governed in all respects by the laws of the State of South Carolina, without regard to conflicts of laws principles. Except as otherwise agreed in writing by the applicable Charleston Angel Partners entities, any disputes relating to these Terms shall be resolved exclusively in the state or federal courts located in Charleston County, South Carolina. These Terms set forth the entire agreement between you and us with respect to the subject matter hereof and supersede all prior agreements relating to such subject matter. All Charleston Angel Partners individuals and entities are intended third-party beneficiaries of these Terms. Our rights under these Terms may be waived by us only in writing. These Terms are binding on you as well as your successors and permitted assignees. In the event any provision of these Terms is determined to be invalid or unenforceable, such provision shall be deemed severed from the remainder of these Terms and replaced with a valid and enforceable provision as similar in intent as reasonably possible to the provision so severed, and shall not cause the invalidity or unenforceability of the remainder of these Terms. ©2017 Charleston Angel Partners LLC. All Rights Reserved.